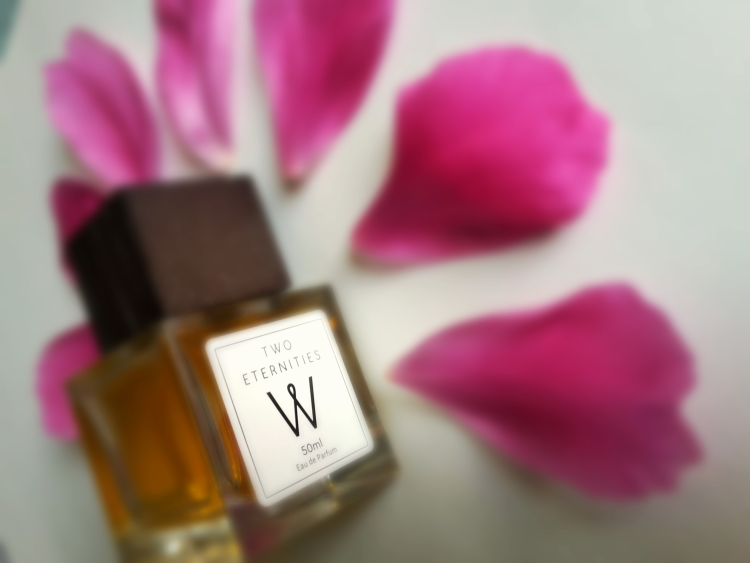 Walden Natural Perfumes Two Eternities is a gentle, feminine, sweet and flowery perfume, made of natural and precious essential oils, absolutes and resins. Made from only the finest natural absolutes, resins and essential oils Walden Perfumes are named after Henry David Thoreau’s seminal work Walden. The book – part meditation, part handbook for simple living in natural surroundings – has inspired countless readers and Walden Natural Perfumes are proud to walk in his footsteps. Perfumes are, and have been for a long time, an unmistakably loyal and feminine beauty companions. If, once upon a time, they were created with only natural ingredients – mostly from flowers, nowadays, they are mass produced with a myriad of toxic ingredients (I know, I know – nowadays, we’re nearing a point where cautioning about toxic ingredients is becoming a fear tactic as opposed to being an informed customer, who wishes to help others), triggering respiratory issues, headaches and with a long term use – endocrine disruption and developmental and reproductive toxicity. With Walden Natural Perfumes you can rest assured you won’t be facing any of the above. Combining a thoughtful escape into literature, in times, when perfumes were made with natural ingredients only, you are graced with, from the packaging on, a perfume, which honors the perfume making tradition – as it once was – and honors you, the customer, who will not have to risk your well-being and health by indulging in perfume world. The Walden Natural Perfumes come in a (quite heavy) glass cube topped with a wooden lid – simple yet elegant. ♥ A Different Drummer: opens with a spicy blast of Pepper followed by Cedarwood and Amber and finishes with creamy hints of Amyris Sandalwood. When it comes to perfumes – or any other scents – I am a floral type of a lady – the more flowery and feminine, the better. 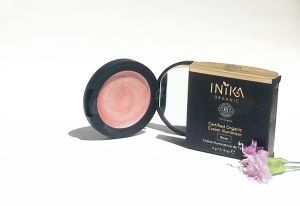 As I was going through the ingredients of these perfumes, I was, naturally, looking for flowery scent – more precise – a rose scent (another scent I am extremely fond of is that of violets). and here it was – the perfume, which contains roses – Two Eternities. Immediately upon spraying the Two Eternities, the (quite strong) scent of alcohol and citruses splashes. Being impatient, I gave the perfume a side-eye, as I was expecting a more flowery scent. Welp, a few moments later, the scent of alcohol is nearly gone (another proof this perfume contains, truly, only the best ingredients – perfumes, containing cheap alcohols, can smell of alcohol for far too long), whereas the citrus scent gives way to a truly gentle, feminine core of this perfume – Jasmine in the front row, with roses gallantly riding the scent wave behind. And when it all settles, the sweet scent of Iris takes over. All in all it’s quite difficult to describe this scent – all I can tell you is that it is so feminine, so gentle, so adorable and sweet. Not for a moment does it smell cheap! 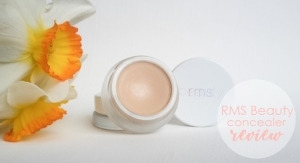 It gives this fresh and calm feeling – quite possibly like walking through a fairy forest. So, how about the ingredients? There are essential oils of bergamot, mandarin, orange and marigold, followed by precious and expensive absolutes of rose and jasmine, and another, very expensive, resin of iris. A few moments upon spraying the perfume, you will realize the alcohol itself is also that, which is anything but cheap. 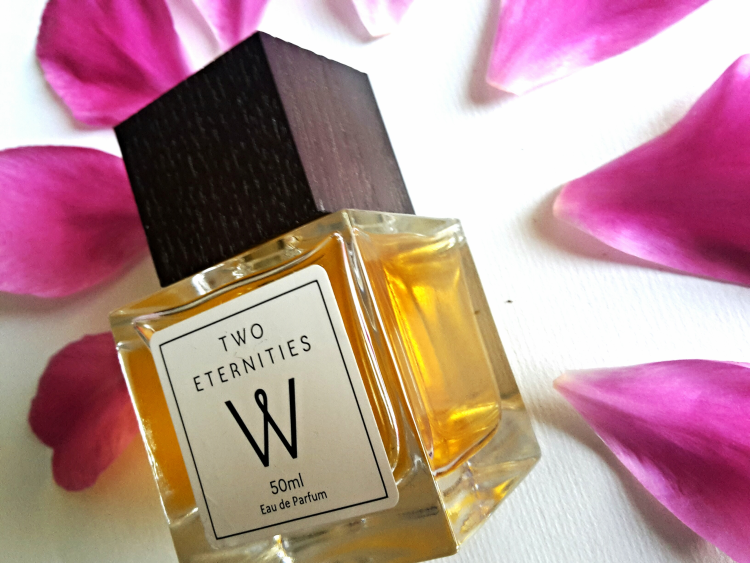 Walden Natural Perfumes Two Eternities is a gentle, feminine, sweet and flowery perfume – a great addition for any natural perfume loving lady. Given the fact the source of the scent is totally natural and not synthetic – essential oils, absolutes and resins – the smell lasts accordingly: around 2 hours. The price? Around €70 for 50ml, which is not easily affordable, that has to be said. At the same time, the Walden Natural Perfumes Two Eternities is a natural perfume, containing expensive ingredients – such as jasmine and rose absolute and iris resin, so that has to be acknowledged, too. Maybe Love Lula could come up with smaller sizes – not just so more customers could afford these great natural perfumes (and test before buying, too), but also so they could be carried in purses – I know I wish I had a smaller size of the Walden Natural Perfumes Two Eternities with me while out and about. Oh, and since I’m on a roll with my suggestions and wishes – about ten minutes after I first sprayed the Walden Natural Perfumes Two Eternities, I said to myself: I wish this scent came in a form of body oil and body lotion. Believe me, when you try this perfume, you’ll wish for a gift set of a smaller perfume size, accompanied with a body lotion and body oil of the very same scent – it is that marvelous! I’ve seen many of the bloggers posting the reviews of these perfumes a few days upon receiving them. As you’ve come to know – I take the time to thoroughly test all the products before I present my thoughts to you, my lovely readers – and testing and reviewing a perfume is no different. How about you, my lovely readers, have you heard about this new brand, offering natural perfumes – Walden Natural Perfumes? Had a chance to try any yet? Do you think there’s enough selection of natural perfumes out there and what do you think of the prices of natural perfumes? Let me know! For more information on Walden Natural Perfumes, please visit their dedicated brand page. 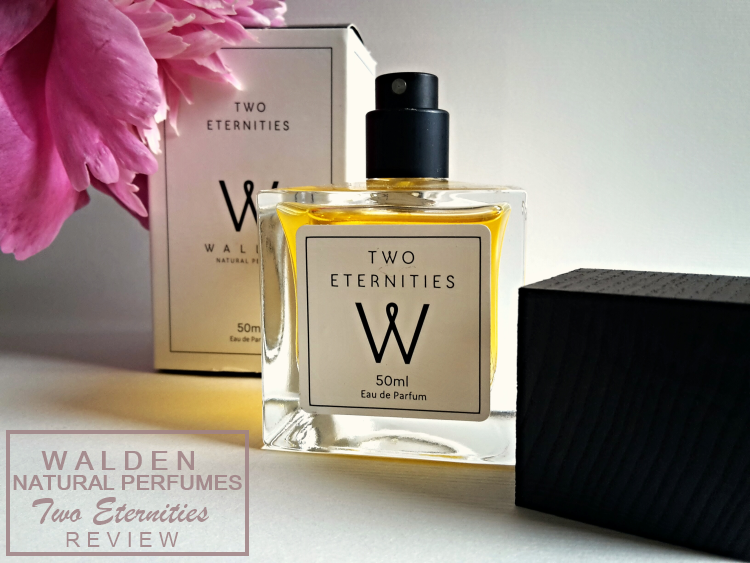 Walden Natural Perfumes Two Eternities has been provided to Nature of Europe by Love Lula for the purpose of an honest review. Nature of Europe is Love Lula’s Accredited Blogger. The post contains affiliate links. For more info, read our disclaimer.